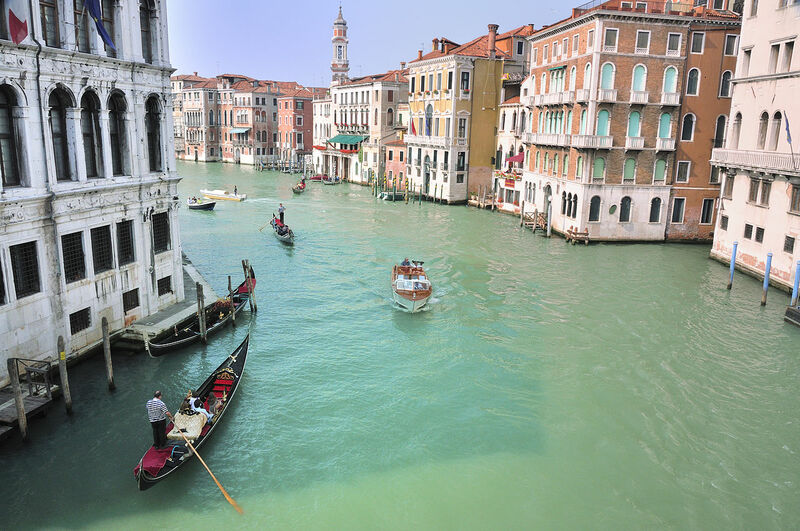 The Grand Canal in Venice is one of the most beautiful waterways in the World, the canal is the main highway in Venice and it is surrounded by much of the city’s historic buildings and bridges. You will more than likely use it to get around whilst in the city but one of the best ways to enjoy the Grand Canal is to dine on a gondola while you glide down the the water at sunset. Some places even offer a traditional musician on board to serenade you as you eat. A wonderful experience. Venice is filled with mazy backstreets and squares that seemingly appear from nowhere and taking a tour is absolutely recommended to make sure that you don’t miss anything this stunning city. There are several tour options available, you can take historic tours, food tours and art tours that will help you learn more about the city. Gondola tours are very popular as are some of the walking tours on offer. You can of course do a little research walk around the city on your own time or rent a bike and see where the streets take you. However you decide to see the city make sure that you cover a lot of ground as Venice is full of surprises which you shouldn’t miss. 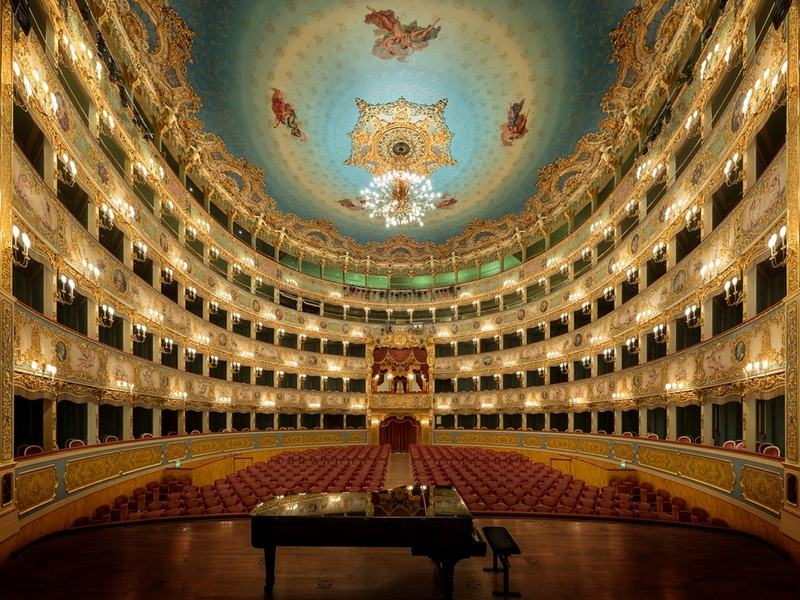 The stunning Teatro La Fenice is arguably the most famous theatre in Italian opera, a 19th Century style building that oozes class and Italian culture. If you are lucky enough to be in town when the opera is on then you must go, it is a truly memorable experience to see everyone dressed up and enjoying breath-taking performances in an elegant setting. If the opera isn’t in town then you should still visit the theatre for a tour, they offer both guided tours and self tours where you can take a headset which educates you on the history of the theatre. This theatre is a must visit place if you are heading to Venice. Doges Palace is one of Venice’ most iconic landmarks that was once the heart of the Venetian Empire, the palace is now a museum that houses artefacts of Venetian history and culture. Visiting the palace alone is a charming experience, the gothic building is in impeccable condition and it’s large courtyards and intricately designed chambers are simply awe-inspiring. Whilst there are several collections of artefacts, the museum really is the palace itself, a majestical building that is seen best with a guide. Tour companies offer a ‘secret itinerary’ tour where you will be taken into all of the hidden rooms, prison cells and torture chambers within the palace that are otherwise unreachable. This palace should most definitely be on your list of places to visit in Venice.